You will meet our tour guide& driver at Tianjin Port. Then we will drive about 3 hours to the Mutianyu Great Wall. 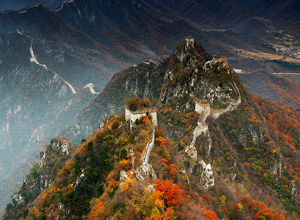 As one of the most famous and best-preserved parts of the Great Wall, the Mutianyu section enjoys a long history and is also part of the glorious culture of China. Compared with other sections of the Great Wall, Mutianyu Great Wall possesses unique characteristics in its construction. Besides, it is also famous for the breathtaking beautiful scenery.Travelers visiting the Mutianyu Great Wall will have an unforgettable experience and memery. Return to the Tianjin Port after the tour.